We follow a sound and disciplined investment process. A systematic set of investment procedures and portfolio construction methods are utilised to formulate asset allocation strategies for clients with different investment objectives, across various global assets and investment durations. 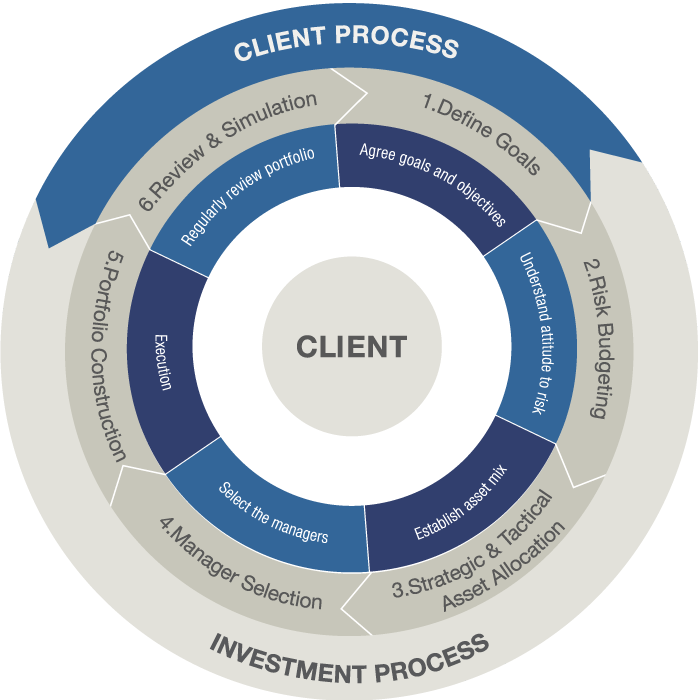 Using this process , we select the appropriate mix of assets in the portfolio, which balances the future return within the client’s risk tolerance. By diversifying the portfolio across different global asset classes, such as bonds, equities, alternative investments, hedge funds and property, we are able to exploit different sources of return potential. The result is a more efficient portfolio.